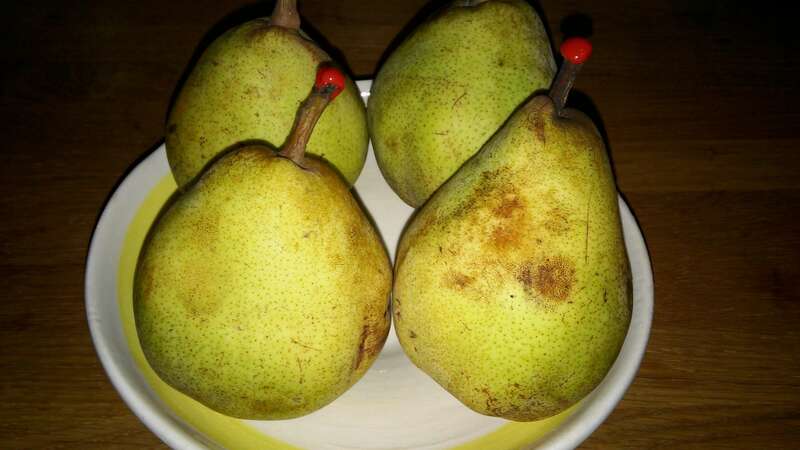 Pears are best if picked slightly immature. This means that moisture loss can still occur via the stalk, once the pear is separated from the tree. Therefore with certain varieties there is the risk of shrivel of the fruit near the stalk end. Sealing the stalk may help to reduce this problem.